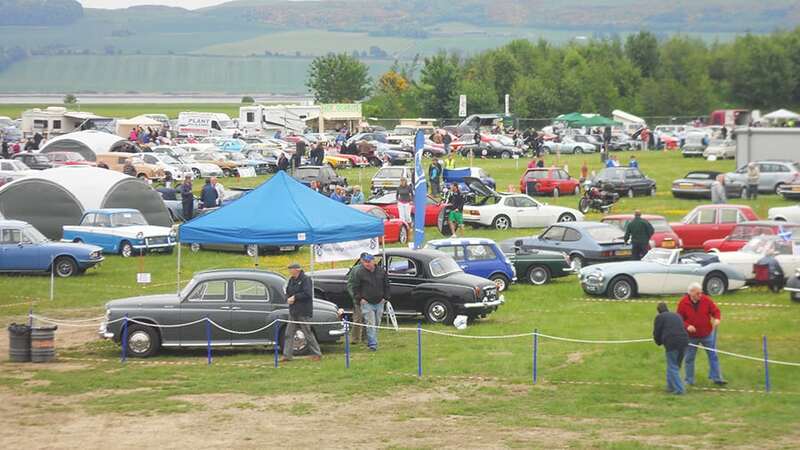 The 13th Tayside Classic Motor Show is being held at Errol Airfield PH2 7TB on Sunday 10th June in aid of local children’s charities including Cash for Kids. Over the last 12 years the car club has been delighted to have been able to donate £47,000 to various causes. Over 600 vehicles have entered in this year’s show ranging from 1927 Austin 7 to the more modern classics including a wide range of Cars, Motor Bikes, Commercials and Agricultural Vehicles. We also have representative’s from 35 different car clubs on display. A variety of stalls, food vendors, Face Painting, Birds of Prey and a Children’s Fair will be in attendance as well as entertainment in the ring from the Mains of Fintry Pipe Band, Tayside Road Runners Dog Display Team and the Linda Grant School of Dancing. The show opens to the public at 10.00 am and the admission prices are £5 for adults and £3 for OAP’s and children. Hope you can come along for a lovely day out in the field behind the Sunday Market at Errol. If you are interested in displaying your classic vehicle at the show please contact the organisers.